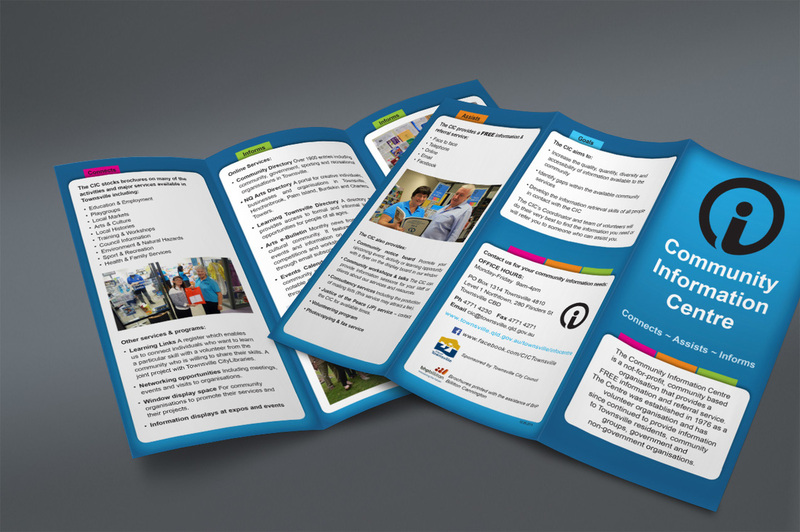 Community Information Centre Townsville Inc. 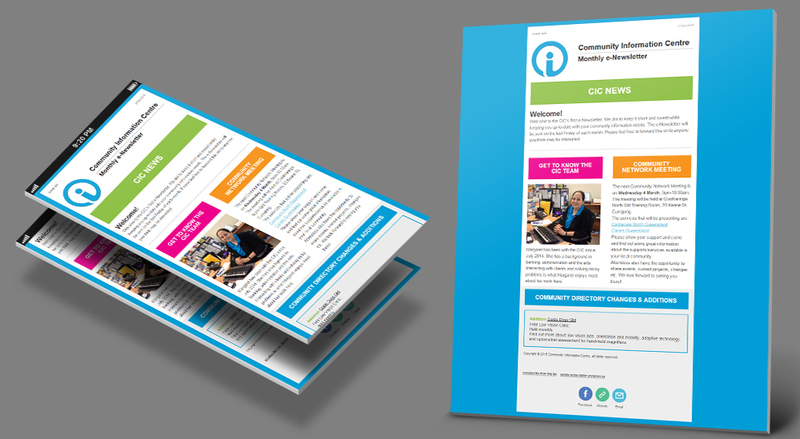 The client asked for the design of a three-fold brochure filled with information and photos about the organisation, as well as a simple solution to design and produce a monthly e-newsletter that could be maintained by internal staff members. 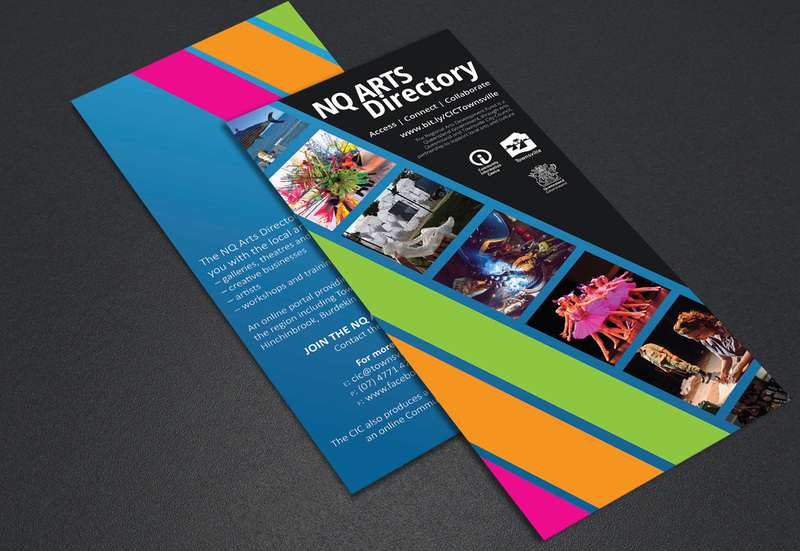 The design of the NQ Arts Directory was a flyer, that at the request of the client maintained a similar colour scheme of the parent compony while also displaying colourful local images and simple information.